Continuing its commitment to build solutions that drive business results for customers, Manheim expanded its product development leadership team with four new members. Ensuring the right products are delivered to the right people at the right time, Manheim said the new additions to the team have solid expertise in product development, strategy, deployment and portfolio management. “Our four new team members are terrific additions to Manheim, bringing great talent, subject-matter expertise and a diverse array of professional experiences to our product development efforts,” said Joe George, senior vice president of product development. —Tony Markese, vice president of marketplace and affiliate management, has a wealth of auction location experience, having previously served as general manager of Manheim Central Florida for several years. In his new role, Markese will collaborate with industry partners to increase customer access to Manheim’s marketplace. —Bonnie Hensler, vice president of product operations, brings to Manheim a strong product marketing background with experience in product launches, messaging and segmentation. Hensler will be responsible for the development and implementation of comprehensive product operations strategies. —Kris Hart, vice president of product strategy, has extensive experience in the service and gaming industries, previously working for Harrah’s Entertainment, the well-known casino and gaming company. In Hart’s new role, she is responsible for working with internal and external stakeholders to evolve and expand Manheim’s product roadmap. —Krista Marlatt, senior director of product portfolio management, specializes in evaluating products to ensure they align with customers’ needs. Previously working for Manheim’s sister company, AutoTrader.com, Marlatt will be responsible for analyzing product families to make sure they reinforce Manheim’s commitment to enable customers to conduct business anytime, anywhere and in any way they choose. “This is a very exciting time for us as customers are increasingly turning to Manheim’s marketplace to conduct business,” George said. In other company news, Manheim appointed Racquel White to the position of vice president of communications and corporate affairs. In her role, the company said White will lead the efforts to amplify four strategic communications areas: internal, external, executive and corporate social responsibility. White will report to senior vice president and chief people officer Lilicia Bailey. White brings 15 years of strategic communication experience in a variety of sectors to Manheim. Most recently, she served as vice president of internal and leadership communications across North America for The Coca-Cola Company. She held positions of increasing responsibility with Marriott International, the Smithsonian Institute and the Joint Center for Political and Economic Studies. Manheim also mentioned White’s experience is multi-sector and also international. She has led communications for more than 90 markets for the Eurasia and Africa Group for The Coca-Cola Company, based in Istanbul, Turkey, and she served as acting public affairs and communications director for Coca-Cola South Africa, based in Johannesburg. An active member of the community, White is involved in several organizations and initiatives. She has served on the board of directors for Georgia non-profits Camp Twin Lakes and Sheltering Arms. She currently serves on the board of directors of the Metro Atlanta Red Cross. Insurance Auto Auctions rolled out two new locations in Texas, increasing its footprint to a total of 12 locations in the Lone Star State. The new operations are in McAllen and Lubbock, sites the company said are critical to IAA’s continued expansion in giving providers more locations to sell their vehicles and global buyers more cars to bid on and win. McAllen is located at the southern tip known as the Rio Grande Valley, and is minutes away from the U.S.-Mexico border and one hour away from the Gulf Coast. —McAllen auction information: Bi-weekly auctions take place on Tuesdays at 10 a.m., located at 900 N. Hutto Road in Donna. The operation can be reached at (956) 464-8393. Lubbock is located in the northwestern part of the state serving much of west Texas. —Lubbock auction information: Bi-weekly auctions take place on Tuesdays at 9:30 a.m., located at 5311 N. CR 2000 in Lubbock. The operation can be reached at (806) 747-5458. In addition to the primary storage area at these locations, IAA has dedicated additional acres to handle catastrophe (CAT) situations for these regions. “IAA has over 160 locations backed with the best service-minded team in the industry,” said Tom O’Brien, chief executive officer at Insurance Auto Auctions. IAA buyers have access via their mobile phones and can bid on up to eight auctions at a time. The IAA Auction Center offers auctions in six languages, including English, Spanish, Mandarin Chinese, French, Polish and Russian. A portion of IAA’s vehicles are sold and exported to foreign countries, which officials insist further strengthens their philosophy of choice and flexibility with “anywhere” access and mobile technology. IAA said it follows strict regulatory compliance at the federal and state levels and is well versed in all state titling laws as well as buyer and seller licensing. Black Booktook a closer look at used-vehicle value impact stemming from Hyundai and Kia admitting last week they overstated the fuel economy of models sold during the last two years. While there has been talk of broader ramifications to the brands, Black Book believes this acknowledgement will have little impact on future retention values. —Roughly 900,000 vehicles sold during the last two years were included in the overstated fuel economy admission. Both brands said they would reimburse consumers and restate mileage estimates on specific models. Drivers of these vehicles will be issued a debit card for reimbursement, expected to average approximately $88 based on a vehicle that averaged 15,000 miles this year. —Black Book did not see retention and vehicle values on used models change noticeably on Toyota models impacted during the large recalls of 2008-2009. Beggs said these vehicles continued to follow segment trends. —Black Book indicated larger market drivers will continue to impact vehicle values going forward. The Hyundai Elantra is part of the compact cars vehicle segment, which has a current Black Book overall segment average of $7,176 today and down 6.9 percent since the end of August when it stood at $7,710). The Hyundai Sonata is part of the upper mid-size car segment, which has a current Black Book overall segment average of $9,075 today and down 6.1 percent since the end of August when it settled at $9,662. Digital Air Strike revealed Thursday it has been approved by a major domestic OEM as a certified reputation management partner. Offering her take on the news, Alexi Venneri, co-founder, chief marketing officer and chief operating officer-social media of Digital Air Strike said, “We are pleased that General Motors has recognized the importance of online reputation management as a part of overall customer satisfaction. “It has been a pleasure to work with hundreds of GM dealers through social media to engage with more consumers and we look forward to helping many more dealers manage their online reputation,” she added. —Monitoring all online review sites including top sites such as Yelp, Cars.com, Edmunds, Google+ Local, Yahoo Local, and more. —Testimonial feed widget to showcase positive reviews and positive survey comments on dealership websites, Facebook pages, blogs and social media toolbars. —Enhanced Yelp Page: blocks competitor ads, exclusive ability to add offers, dynamic photo reel, “About Us” page and more. —Enhanced Yelp Mobile Site with check-in offer feature. —Real-time automotive social media mobile dashboard app. —Fully managed social media sites to increase engagement, build increase likers/followers and drive more traffic to the dealership’s website. —A dedicated social media/reputation management specialist to help dealers follow up with more customers and increase overall satisfaction. 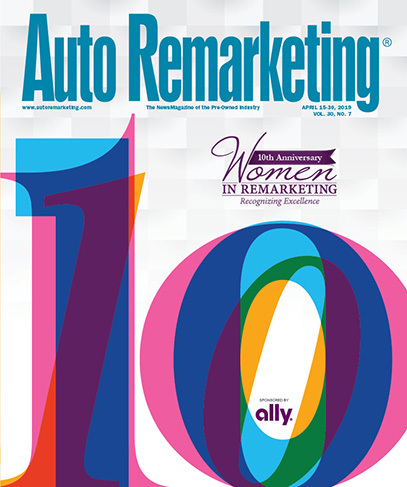 The company also shared that qualifying dealers are also eligible for reimbursement for these services under the GM iMR (In-Market Retail) Turnkey Program in which GM reimburses dealerships for a portion of eligible local advertising and marketing costs incurred from approved vendors. “Digital Air Strike’s reputation management solution is amazing! They generate dozens of positive reviews and we love how the reviews get more visibility through their Facebook app and website widget,” said Jerome Holtz, president of Holtz Motors, which operates a Chevrolet store in Hales Corners, Wisc., near Milwaukee. “Digital Air Strike’s 24/7 monitoring and rapid review responses help us maintain an outstanding reputation, which we rely upon to attract more car buyers,” added Melissa Battle, Internet sales director at Jupiter Chevrolet in Garland, Texas, northeast of Dallas. For more information about Digital Air Strike, the new GM Reputation Management program, and the GM iMR Turnkey Program, call (888) 714-5764, email gmrep@digitalairstrike.com or visit http://gmrm.digitalairstrike.com/. Hertz Global Holdings late Thursday said it reached an agreement with the U.S. Federal Trade Commission allowing the company to complete its acquisition of Dollar Thrifty Automotive Group. Under the terms of the proposed consent order that was approved by the FTC for public comment, Hertz is required to divest its Advantage business, selected airport concessions and certain other assets following the closing of the acquisition. “We have reached a compelling agreement with the FTC and are pleased to finally move forward as one company,” said Hertz chairman and chief executive officer Mark Frissora. As previously announced, Hertz reached an agreement to sell certain assets to Adreca Holdings Corp., a subsidiary of Macquarie Capital. That subsidiary is operated by Franchise Services of North America, an experienced operator of car rental brands including U-Save Car & Truck Rental, Rent-a-Wreck of Canada, Practicar and Xpress Rent A Car. Hertz also agreed to use its commercially reasonable efforts to ensure that Adreca at 13 locations and either Adreca or another third party at an additional 13 locations, has the right to an on-airport operation. “Hertz hopes to be able to continue operating both the Dollar and Thrifty brands on airport at a number of these airports,” officials said. Hertz indicated approval of the proposed consent order effectively completes the review of the transaction by the FTC. "American consumers rent more than 50 million vehicles at airports nationwide each year, spending $11 billion, so this is a real pocketbook issue for everyday people," FTC chairman Jon Leibowitz said. "(Thursday's) bipartisan action by the FTC will ensure that consumers are not forced to pay higher prices for rental cars when they travel." The FTC commission's vote approving the complaint and proposed settlement order was 4-1, with commissioner Thomas Rosch voting no. "I voted against acceptance of the consent decree because I found it inadequate to resolve the competitive concerns at several dozen other airports affected by the transaction," Rosch said. "I would have instead voted to challenge the transaction because of the significant risk of post-merger coordinated interaction among the remaining competitors." The closing of the previously announced cash tender offer to purchase all outstanding shares of common stock of Dollar Thrifty for $87.50 per share is also subject to customary terms and conditions, including the acquisition by Hertz of a majority of the outstanding shares of Dollar Thrifty common stock on a fully diluted basis. The tender offer is scheduled to expire at 5 p.m. ET today unless further extended in accordance with the merger agreement and the applicable rules and regulations of the U.S. Securities and Exchange Commission. Officials pointed out the tender offer statement and related materials have been filed with the SEC. Dollar Thrifty stockholders who need additional copies of the tender offer statement and related materials or who have questions regarding the offer should contact Innisfree M&A, the information agent for the offer at (877) 456-3507. TransUnion’s quarterly analysis of Canadian credit trends showed that the average consumer’s total debt — excluding mortgages — increased at its greatest rate in nearly two years, sparked in part by a climb in auto loan commitments. The overall average jumped 4.6 percent during the third quarter to $26,768. TransUnion determined Canada experienced both its largest quarterly (2.1 percent) and annual (4.6 percent) growth since the fourth quarter of 2010. A significant portion of the quarterly average debt total is tied to vehicle contracts. Canadian auto borrower debt — defined as the aggregate balance on all auto captive loans for an individual auto captive borrower — increased more than 11.25 percent year-over-year and 1.84 percent quarter-over-quarter. The third-quarter reading came in at $19,228. For reference, TransUnion noted the average auto debt level after the first quarter of last year stood at $16,181. Analysts indicated the increase in overall average debt was consistent throughout Canada. On a year-over-year basis, the largest increases were found in New Brunswick (9.49 percent), Prince Edward Island (8.25 percent) and Newfoundland and Labrador (7.83 percent). In the last five years between the third quarter of 2007 and third quarter of this year, TransUnion said inflation as measured by the Consumer Price Index has risen 9 percent; yet total consumer debt (excluding mortgages) has jumped more than 37 percent. “At this time last year, we were encouraged to see consumer total debt levels remain relatively stagnant for three consecutive quarters,” said Thomas Higgins, TransUnion's vice president of analytics and decision services. As Higgins mentioned, delinquency levels continue to remain low across all major product categories. For auto loans, the third-quarter delinquency reading came in at 0.11 percent, which was a 13.79-percent jump above the previous quarter but a 14.48-percent decline versus a year ago.